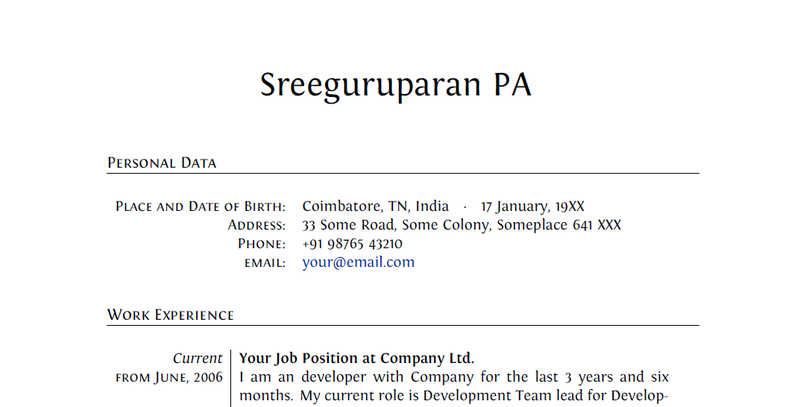 It is really difficult to typeset a resume. If you are already using Microsoft word (there are some word templates here) for this, and you think your resume is looking better, then this post is not for you. For all others who want to try some thing new, I have found a good source. Latex is a cool software to typeset professional looking document. It is the first choice for many. What’s more? It’s free and beats every other software which in the class by long margin. The only problem being, you need to learn the commands, tips and tricks to make the most of it.